Hammock Bay Golf & Country Club, a pristine gated golf and country club community conveniently located south of Naples near Marco Island in Southwest Florida. The Hammock Bay community strives to protect the environment with providing a quality wildlife habitat and for conserving the natural resources of this attractive area. In fact, Hammock Bay is recognized as a “Gold Certified Signature Sanctuary” by Audubon International, one of just 45 designated communities in the world. The gold certification is the highest level of the Audubon Signature Programs, recognizing sustainable communities within the natural environment. 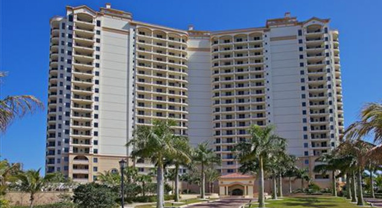 Hammock Bay real estate for sale is comprised of luxury tower residences located at Aversano, Serano and Lesina; large condominiums in 3-story buildings located at Borghese Villas and luxury coach homes at Rialto. These unique residences offer an array of floor plans and options that give buyers the freedom of choice. At Hammock Bay Golf & Country Club, the well-planned spacing and location of residences provides homeowners with impressive unobstructed views of the golf course, tropical fauna and flora, sparkling fresh-water lakes and water features. 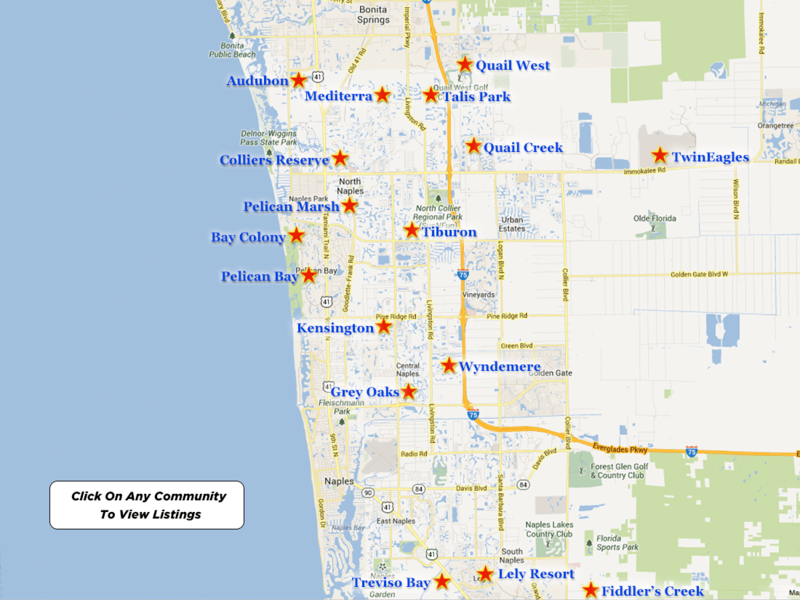 Hammock Bay Community & Neighborhood Info Cont. 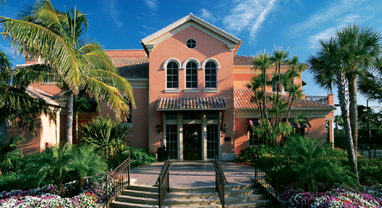 Situated amid the lush well-manicured tropical terrain of The Hammock Bay Golf Course at The Marriott Resort Marco Island, Hammock Bay Golf & Country Club is located 40 minutes from Southwest Florida International Airport, 20 minutes from Naples Municipal Airport and 10 minutes from Marco Island Executive Airport. Additionally, Hammock Bay Golf & Country Club is just a short drive to the breathtaking beaches and waters of the Gulf of Mexico, Naples Bay, five-star luxury hotels, superior hospitals, medical facilities, schools, upscale shopping and gourmet dining at The Village on Venetian Bay, The Waterside Shops, Mercato, The Coastland Mall, the boutique shops and fine gourmet restaurants of Fifth Avenue South and Third Street South, The Naples Philharmonic at Artis-Naples and The Baker Museum, The Barbara B. Mann Center, The Naples Zoo, The Naples Botanical Gardens and Marco Island Esplanade. Championship golf is everywhere at Hammock Bay Golf & Country Club. 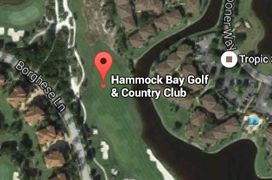 Opened in 2004, Hammock Bay Golf Course is a championship 18-hole par 72 course and was designed by the renowned architects, Peter Jacobsen and Jim Hardy. Hammock Bay Golf Course is truly a paradise especially when it comes to playing the game of golf. Universally appealing with an agreeable layout and multiple tee placements, the course permits each individual to play to his and her skill-level. Additionally, Hammock Bay Golf Course integrates the natural environment throughout the entire layout…rolling lush fairways, flowering marshes, crystal-blue fresh water lakes, manicured greens, towering oak trees, pines, cypress and palm trees, sandy white bunkers, flowering natural vegetation and well-maintained tropical landscaping is intermingled amongst the lovely custom residences. Experienced onsite PGA golf professionals and a teaching staff assist with improving the game of golf, and the pro shop is fully equipped with all of the latest sportswear trends and state-of-the-art golf equipment. To further assist with your golf game, there is a driving range, GPS navigation carts, a putting green, a chipping green, golf club rentals for both right and left handed individuals, full-service locker rooms with showers and a spa. Facilitated by the Marriott Resort Marco Island, the community of Hammock Bay Golf & Country Club is privy not only to spectacular championship golf, but to a variety of benefits, facilities and amenities that include a beautiful Clubhouse with breathtaking views of the surrounding golf course and tropical landscaping, providing the members with casual to fine gourmet dining at The Grille Restaurant and TIKI Bar. Furthermore, there is a Mediterranean-styled resort pool, a lap pool and a luxurious spa, a pool pavilion, a movie theatre, a salon, a social room, guest suites, access to a contemporary Tennis Center with a certified USTA professional staff and three-lighted Har-Tru tennis courts, a modern Fitness Center with professional trainers and an array of exercise activities including aerobics, Zumba, spinning, yoga, free weights and dance. 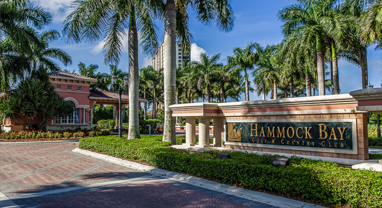 Hammock Bay Golf & Country Club is also biking and jogging friendly, providing several long distance paths throughout this well-designed residential community. Hammock Bay Golf & Country Club is proud of its association with The Marriott Resort Marco Island and strives to provide various options to suit every individual’s needs. There is truly something for everyone at Hammock Bay Golf & Country Club…from gourmet and casual dining, tennis, award winning championship golf, water sports, an array of social activities and unique private events. There is a premier Member’s Club Membership offered via The Marriott Resort Marco Island, including golf and social privileges at three venues…The Marriott Resort Marco Island, The Hammock Bay Golf & Country Club and The Rookery. For discrete and professional service, please call me to schedule a private viewing of any one of these Hammock Bay real estate listings. If you would like for me to do all of the research for you, please call me with your search criteria and I will email you all of the listings that you should be considering, and that specifically match your lifestyle requirements. 239-963-6590.